WWE Backlash was introduced in 1999 and was often the event where guys and gals got their rematches from WrestleMania. In cases of the traditional WrestleMania double turn, we often saw guys get their revenge. Though it was never recognized as a major PPV, it has always had a prominent place in history. Here are some of my favorite matches and moments. Stone Cold Steve Austin chased the WWE Championship for six months after he was screwed by Vince McMahon. Austin finally regained the title when he defeated The Rock at WrestleMania XV. However, he never got his Smoking Skull Championship Belt. Austin would defend his title against The Rock but there was a special stipulation. Shane McMahon would be the special guest referee. Austin would go on to defeat The Rock and regain his custom-made championship. These two had three classic matches at WrestleMania, but this match at Backlash is what help set the tone of the must-see PPV following WrestleMania. WrestleMania 2000 could have been one of the best PPVs if The Rock won the Fatal Four Way match to become the new WWE Champion. But nope, Triple H won. (Click here to watch The Wrestling Wrealm's Gimmie The Book, where I rebook this) Shane McMahon was the referee in this match as well, but this time, The Rock would have a special enforcer in his corner, Stone Cold Steve Austin. Triple H had the upper hand because Austin arrived late, which allowed Shane to not play by the rules. 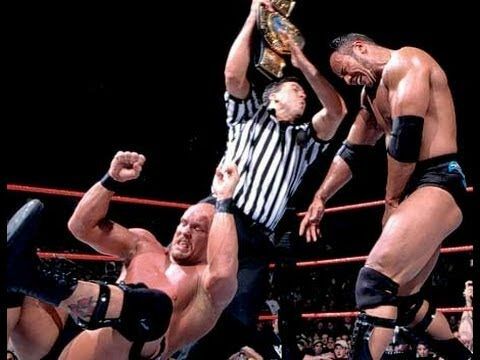 In the end, The Rock was able to hit the Rock Bottom and People's Elbow to win the WWE Championship. After returning from Hollywood, The Rock had a new attitude. He was a movie star and even more arrogant than he was in the Corporation. He defeated Hulk Hogan in their rematch from WrestleMania X-8, and finally defeated Austin at WrestleMania. What else was there for him to do? Suddenly WCW's biggest homegrown star was in the WWE. Goldberg showed up and showed out. He began his WWE career with a huge win over The Rock, sending the Great One back to Hollywood. This match is special to me because Backlash 2008 was the very first PPV I attended. With Randy Orton retaining the WWE Championship at WrestleMania, Triple H and John Cena were looking for vengeance. I have no idea why JBL was in there. He did not last that long in this elimination match. While Triple H was definitely as a better heel, he did get a huge pop in Baltimore that night. Chris Jericho has been one of the most successful wrestlers in history. One reason is that he always finds a way to reinvent himself. In 2009, Jericho was out to prove that he was better than every legend who came before him. At WrestleMania 25, he defeated Ricky Steamboat, Roddy Piper, and Jimmy Snuka. During that match, Steamboat's performance stuck out. Piper and Snuka showed their age, while Steamboat looked like he had gas left in the tank. Becuase of this fans was privy to a one on one match between the two. Edge's biggest rival in his career is arguably John Cena. After Cena defeated Edge and Big Show at WrestleMania 25 to win the World Heavyweight Championship, Edge got his rematch at Backlash, this time in a Last Man Standing Match. With help of the Big Show, Edge would regain his World Heavyweight Title. 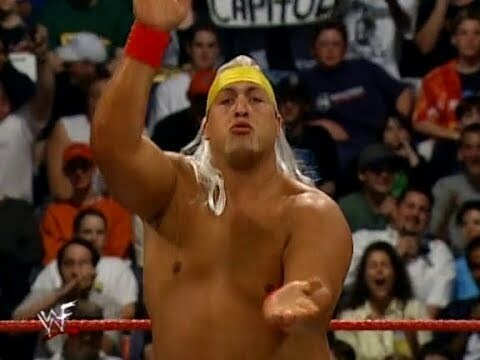 In the Spring of 2000, Big Show went through a phase where he was just having fun. 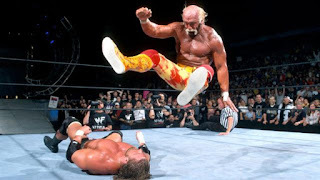 On this night, he decided to portray Hulk Hogan in his match against Kurt Angle. If you go watch his promo to start the match, you will notice that he was spot on. When Trish Stratus made her debut in 2000, she was immediately turning heads. Her first role in the company was managing Test and Albert also known as T and A. Leading up to Backlash, Trish teased Bubba Ray Dudley, the man who was notorious for putting women through tables. On Raw and Smackdown, Trish was able to seduce Bubby, preventing him from putting her through a table. But at Backlash, it finally happened, Trish went through a table. Who would have thought Hulk Hogan would have been in the WWE in 2002, let alone become WWE Champion. After his match at WrestleMania X-8 with The Rock where the fans cheered him, Hogan proved that Hulkamania was back. But in order to fully be back, he needed the gold. On this night, he defeated Triple H to win his 6th WWE Title. AJ Styles joined WWE during the 2016 Royal Rumble. He was the hottest free agent on the market. However, the fact that he was a homegrown "TNA guy" no one believed that he would ever wear the WWE Championship. On this night, he defeated Dean Ambrose and proved to every that you can't hold back someone who is Phenomenal. When Jinder Mahal was released from the WWE in 2014, he was apart of 3MB, an air band group. When he returned in 2016, he was in better shape. He earned a contract on Raw when he defeated former 3MB teammate, Heath Slater. Mahal was later sent to Smackdown during the Superstar shakeup. He took advantage of a new opportunity and became the number one contender for the WWE Championship. And at Backlash, he shocked the world defeating Randy Orton to become WWE Champion. Check out the latest Episode of Break It Down With Brian H.